The Aeolian islands get their name from Aeolus, lord of the winds, who, according to Homer, had his kingdom here. They are islands full of surprises and contrasts. When you draw near to them, by ferry of hydrofoil, you can’t help being overwhelmed by the magnificence of the scenery and tempted to explore it. ‘Wandering islands’, over thousands of years eruptions have often modified their size and appearance. The coastlines and sea are amazing, but the interior is also full of charm; imposing volcanoes, still active, strange rock formations, thick vegetation on Salina, archaeological treasures and prehistoric villages on Lipari, Panarea and Filicudi and the artefacts given up by the sea and jealously guarded in the Archaeological Museum on Lipari. Islands of wind and sun which have forged the character and identity of the islanders. Despite the ups and downs of history and the changes imposed by the modern world, this identity has survived, along with its customs and traditions. The Eolian islanders are kind, friendly people who will welcome you with warmth. Let’s go then, from one island to another, following an ancient route around the clear waters of this legendary sea. ‘We were looking for a place to live a quiet life, far away from chaos, loud sirens, traffic queues and trying to beat the traffic lights, far away from aggressive people. We were looking for a place where we could smile about our future instead of being afraid, without having to fight over a parking space: a place where our home continued beyond the garden gate. We were looking for the sea, sun, scent, silence. All in order to continue being ourselves. So we left for distant places. We saw, tried and in the end our desire for exoticism was satisfied, guess where: just round the corner from our house on Filicudi, a magical little island in the Eolian archipelago (Sicily Islands). We live here and we want to offer the possibility of experiencing this atmosphere to whoever has the same desires as us’. 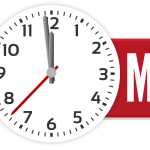 On our website in Italian publishing lots of offers and last minute for a cheap holiday in the Aeolian Islands. Why Visit The Aeolian Islands? Do You need to stay Milazzo? Are You looking for accomodation in Milazzo ? 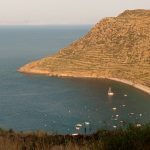 It would be very easy to lump the Aeolian Islands in with the multitude European islands which offer sun, sea, sand, and that certain soulless ubiquity which comes from decades of persistent tourism. However, to do so would be a mistake. 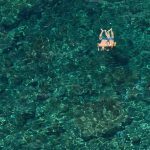 The Aeolian Islands are quite unique, and absolutely brimming with lively individuality and ancient cultural quirks which render them as refreshing for the mind as for the body and soul. The island group are named for Aeolus, the ancient Greek and Roman demigod of the winds. This nomenclature should give an idea of the scope and depth of their history. Aeolus is variously credited with being the first of the Hellenes (the race of people who would go on to form the great culture of Ancient Greece), the keeper and controller of the winds, a son of Poseidon, and a son of Hippotes. His mythology has clearly become somewhat confused over the millennia, but it is nonetheless clear that he was considered an important figure – and his role as controller of the winds would have been immensely important in naval terms. That this island grouping was named after him would have been an honour indeed! The islands have certainly been occupied by humans for at least 6,000 years, during which time they have been in a prime position to witness many of the most interestingly turbulent events in Greek and Roman history. The islands were once a staging post for the Carthaginians, who allied with the islanders in their battles against the might of Rome. Prior to that, they were home to ancient Greek pirates, and following that they were occupied by the Visigoths, Ostrogoths, and Vandals – barbarian tribes which were in turn usurped by the far more cultured (but no less brutal) Byzantines. The Byzantines fell to the Arabs, who fell in turn to the Normans. The twentieth century saw the islands subjected to fierce fighting between wartime factions. Just to make this turbulent history a little livelier, all of the above events were punctuated by volcanic activity. 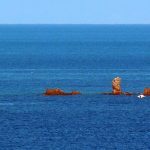 It’s all rather hard to believe when standing on the shores, gazing out over the tranquil Tyrrhenian Sea, but legacy of the islands’ past is there for all to see. From the ancient fortifications of Lipari (built to withstand pirate attacks), to the incredible Cathedral of St Bartholomew, and the absolute wealth of artefacts in the island museums, the whole archipelago is a historical and cultural treasure-trove. As one would expect from any island-grouping with a soul, each island has its own differing characteristics. 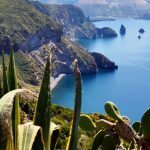 Lipari, the ‘main’ island, has a town and a reasonable degree of industry – yet maintains a gorgeously wild coastline and an absolutely wonderful coastal footpath. It’s the island for those who like their wildness moderated with the option of a predictable town experience in the evenings. For a more sophisticated time, Panarea is the place to be, and to be seen. The hotels are expensive, but it’s a stunningly beautiful little island, popular with the rich, the famous, and those who would like to be either. Of course, given that the glitterati don’t come to places like this merely to sunbathe and drink in the view, one can expect a certain amount of ostentation. However, if you’re in the right frame of mind (and your wallet can cope with the strain) then Panarea truly is quite an experience. It also has some of the most wonderful beaches and coastal scenery, making it very popular as a cruising and yachting destination. Vulcano, as the name suggests, is blessed with a muttering volcano, as is Stromboli. Stromboli’s black lava beaches, and the opportunity to trek up the volcano gives it an ‘outdoorsy’ vibe – it’s the island for the adventurous. Then there are Filicudi and Alicudi – small, quiet, ancient, and quite incredibly beautiful. 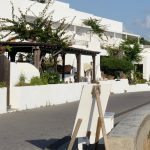 If you want to wander through little fishing villages, and enjoy good, local food, these are the islands for you. Not to mention Salina, which provides the full Mediterranean experience. If you want to drink Italian wine on a sun-warmed terrace, gazing out over a green and pleasant land fringed by pebble-beaches, then head for Salina. All of this naturally leads to an atmosphere which, while differing in its particulars from island to island, is nonetheless universally wonderful. However, quite apart from the amazing scenery, history, culture, and climate, the islands also offer a whole host of more specific attractions to suit every taste. Whether it’s diving on pirate shipwrecks, taking a cycling tour of the islands, enjoying the scenery and history from the comfort of a luxury boat tour, or absorbing the sumptuous delights of geothermal mud baths and springs, there is plenty for everyone. All topped off, of course, by the delectable cuisine of the islands. As you would expect from an area so in tune with the ocean, seafood abounds on the local menu, but there’s plenty to please everyone’s palate. All cooked to perfection, of course – you’ll be hard pressed to find a bad restaurant on the islands! Few words are necessary to convey the strong attraction of the islands. In the past, like today, great and famous travellers like Dumas, Houel, Guy de Maupassant, De Dolomieu and the Archduke Luigi Salvatore of Austria, explored the islands and studied their economy, traditions and customs, giving them early recognition in important works like the eight volumes of the Archduke of Austria. The Eolian islands are volcanic creatures born from the active presence of the four elements: air, water, earth and fire. They emerged from the sea during the Pleistocene period and since then have changed shape several times. Evolution is still ongoing and indeed, in 1955, near Stromboli, a small new island emerged and then sank again; on Lipari, the pumice and obsidian flows of Monte Pelato and Forgia Vecchia date back to 729 AD. The volcanoes of Vulcano and Stromboli and the spa waters and mud baths on Vulcano, Lipari and Panarea remind us that all is not dormant underground. The islands offer their natural beauty to tourists, scholars and sea lovers. A clean sea, still full of fish, grottoes and high cliffs, crags and fine black sandy beaches, sulphur springs and white pumice mountains and all the charm of an island environment. 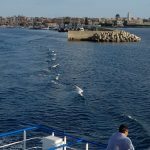 You can get here all year round by hydrofoil and ferry and easy connections are one of the reasons for the increase in tourism. You can board from Naples by car without having to go to Sicily. In summer, hydrofoils serve the islands, with varying daily routes, to Reggio Calabria, Gioia Tauro, Messina, Palermo, Cefalù, Sant’Agata di Militello, Patti, Capo d’Orlando, Giardini and Milazzo. There is a fast helicopter service, based on Panarea, linking the islands to the main airports of the region . Furthermore, there are plans for a small airport on Lipari. The climate is mild and in winter the temperature never drops below 10°. Summers are not torrid as they are freshened by a sea breeze. That is why, even out of season, long, pleasant stays are possible. In spring, the vegetation that carpets the islands is an explosion of colour and scent. Once they were covered by thick woods, but today Mediterranean scrub prevails. Man has cleared almost every available centimetre of woodland to cultivate grapes, olives, capers, pulses and vegetables. The widespread terraces, now abandoned, are evidence of great human work over thousands of years. Man and geographical features have given each island a different identity. 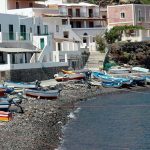 Filicudi and Alicudi are ‘anti-stress refuges’ with an uncontaminated environment. Panarea is a fashionable island, the destination of elite tourists. Stromboli and Vulcano, rough and wild, attract young, rather bohemian tourists. Salina, the greenest, with its twin mountains, appeals to families with children because of its peace and quiet. 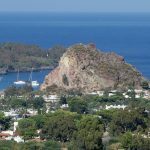 Lipari is the biggest and most heavily populated, the municipality which administers all the other islands (excluding Salina), offering plenty of comfort, space, and all kinds of services, including a fully-equipped hospital and a sheltered port.